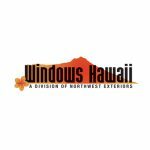 Located on Oahu, Windows Hawaii and has become the fastest growing window company in the islands. We provide high quality installations of windows, doors and siding, sunrooms and patio covers. Our crews and office staff are from right here in Hawaii and have been factory-trained in all our construction service offerings, making them capable of bringing you local knowledge and experience, combined with access to state-of-the-art materials and quality installation techniques. For more details, call us at 808-671-0808 today!